When’s The Best Time Of Year To Remodel? When planning your next remodel project, or scheduling out your year’s worth of remodels, it’s important to consider which projects you start when. Some projects are better suited for different times of the year, and sometimes there’s a busy season for certain kinds of projects. Knowing when those busy times are can be helpful in getting the best price for your remodel. Usually planning just before contractors get flooded with jobs can save you time and money. From the beginning of September through November, the fall season shifts in temperature and weather drastically. Most outdoor remodels that are planned during this time happen at the beginning of the season to take advantage of the nicer temperatures. 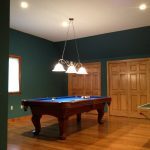 Later on in the season, more indoor projects are typically set up to avoid chilly temperatures. Great projects for this time of the year involve preparatory work, like cleaning gutters and getting your yard and deck ready for the colder winter months. Once the temperatures start to drop, interior projects like cabinet work or flooring become more popular. As the holidays get closer, contractor schedules can pile up with people trying to get remodels done before family comes to visit. This means that planning early and getting your project set on the contractor’s schedule can save you a headache later on. The dry air and frozen ground make this an ideal time for foundation digging for decks and additions. Getting that work done a season before everyone else gets started can keep costs down. Given this is typically a slower time for contractors, you’re also more likely to get the project done quickly and with more personal attention. The obvious obstacle to construction during this time is the winter weather. While these cold temperatures can make foundation digging easier, snowfall and ice accumulation can stand in the way of an uninterrupted outdoor project. 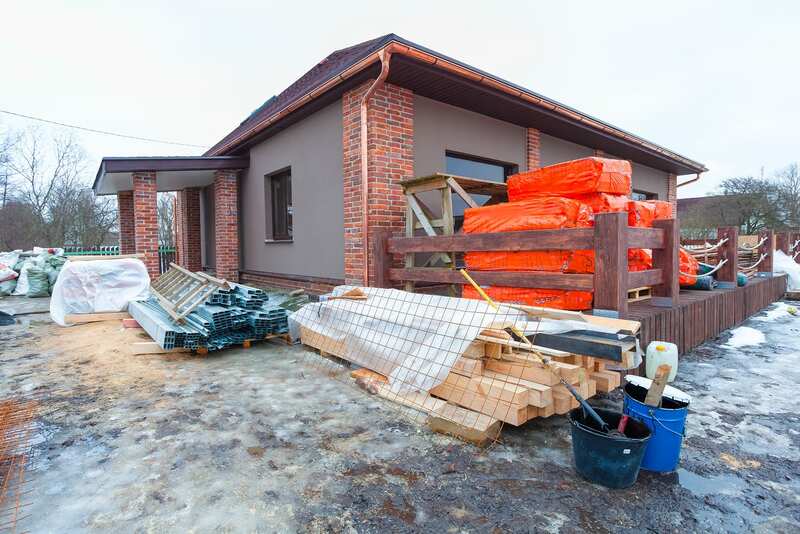 Luckily by discussing and scheduling early with your contractor, most of the work can usually be done quickly to avoid any kind of delay for your project. This season is great for landscaping as the melted snow and soft ground make it easy to move earth and materials around. Milder temperatures make it an ideal time to replace windows, making it a popular project for this time of year. Reinforcing and replacing your windows is the best way to keep hot and muggy air from making your home uncomfortable over the summer, and getting ahead of the curve is always a good idea. Spring is typically one of the busiest times of the year for contractors because many people receive their tax returns and want to put them to use immediately, so expect to compete for scheduling. Costs may be higher and projects may take longer if you wait until later in the season to get started. The soft ground from melting snow and extra moisture in the air can cause issues with cement mixing and setting. This means getting foundation laying done in the early parts of spring when there ground is still solid from frost is a better plan. Early summer is a great time to get roofing work done, when the temperatures are not too high or low. The sealing solutions used for roofing will also have time to set before the harsher temperatures move in. Also consider installing a furnace or working on your heating system for your home during this time. This is the slow season for such work, and getting it done before the cooler fall weather creeps in can avoid any dips in your home comfort. Just like spring, summer is a busy time for contractors. While the weather is nice, scheduling can be tough, because there are a lot of projects that are competing for their time. If the temperatures are too high, this can also limit the amount of time available for crews, as working when it’s too hot is unsafe, causing delays. If you plan for your project over this time, it can mean limiting your enjoyment of the results later in the season. For decks and outdoor rooms, try to plan for them to be finished by the time summer rolls around so you get the most out of them! When planning out projects, it’s a good idea to talk with a contractor and establish a timeline for when you want projects to be completed. Planning early can avoid being stuck behind many other competing projects and save you some money. If you’re looking to set up your remodels or additions for the year, the experts at Eagle Construction & Remodeling are ready to set you up!